Named after King Manuel I of Portugal, best known for his support of Portuguese exploration; this noble cabinet takes inspiration from the Portuguese Manuelino style and a city skyline. Crafted from mahogany the twisted rope appearance of the base is related to the maritime inspiration of the Manuelino Style. This turned base and the skyline silhouette are covered in copper leaf and finished with an Ombre style fading created using a translucent black high gloss varnish. Two doors open to three drawers and one adjustable bronze glass shelf. 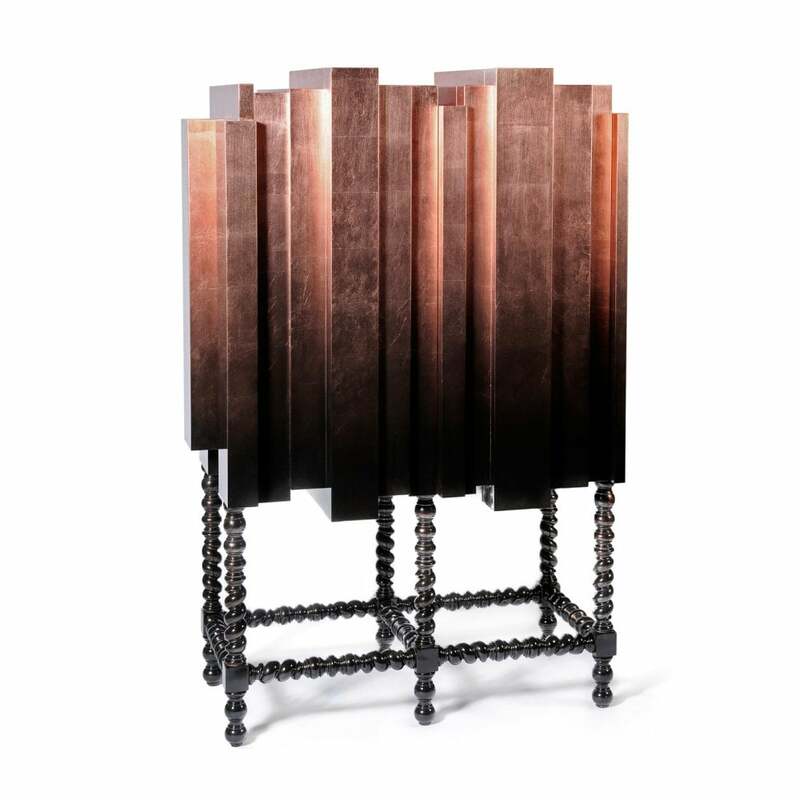 The interior of the cabinet is finished in a copper leaf with high gloss varnish and features three drawers and a bronze glass shelf.